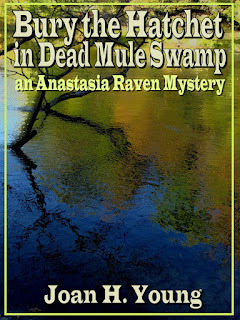 I haven't made much progress on the newest Anastasia Raven mystery for quite a while. But today I got back on track. Re-read everything I have to date, and wrote the next chapter. Took it to West Side Gang this evening, and for the most part they liked it. Some thought there was too much description in one place and others liked that section particularly well. Some didn't like how much I have to use dialogue to give the reader information. Another said "O.K. as dialogue." These differences of opinion don't bother me at all. What they do is further convince me that a book will never sink or float on just one paragraph. In the end, when the book is an entity, not broken into chapters that a group hears one at a time, weeks apart, the balance between description and dialogue will sort itself out, and if it needs major editing (slashing) I can do it. Well done, Joan. Keep going. I'm impatient to get this one. Thanks, Jean! I hope I'm back in the groove.